Whether you're traveling for business or pleasure, the Las Vegas Marriott has what it takes to make your trip a success. 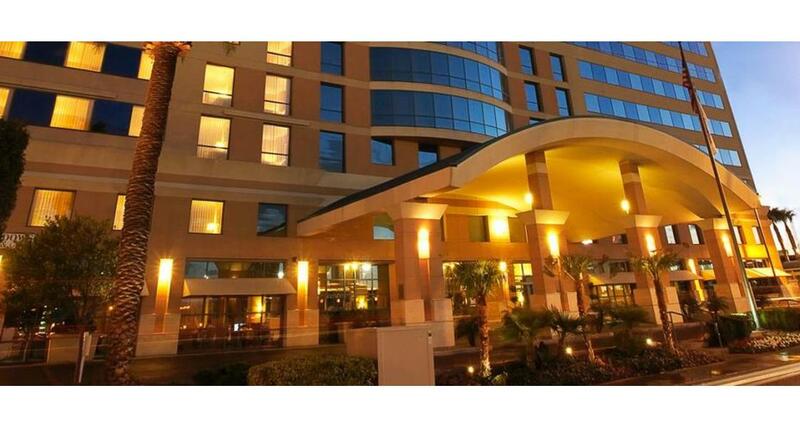 This hotel is located next to the Las Vegas Convention Center, half a mile from the Las Vegas Strip. All guest rooms feature phones with voicemail, high-speed internet access, coffeemakers and tea service, hairdryers, and iron and ironing boards. All rooms also feature refrigerators and mini-bars, wet bars and pull-out sofas. You'll find convenient workstations, already wired for business, inside the chain's signature "The Room That Works" (business travelers can purchase unlimited in-room high-speed Internet access and long distance phone calls). The full-service business center includes a copier, computer and printer; fax service is available at the front desk. There is also an outdoor pool, whirlpool and Cafe325. Located on Convention Center Drive, it's just a short walk from the hotel's front door to a Las Vegas monorail station, linking nine major resorts on the Strip.